 Fuego volcano's activity remains at moderate levels. Lava flows travel down the SW flank, reaching 150 m from the dome. Sporadic explosions eject bombs to 100 m above the crater. The two active lava flows have become weaker and shorter over the past days. The flow down Río Ceniza only reaches about 100 m length and the other one descending Taniluyá seems to be no longer or only weakly alimentated, although a new pulse might have started in the afternoon of 9 May. Occasional small strombolian explosions form ash and steam plumes of ~400 a 700 m height and throw incandescent material onto the SW and SE flanks of the volcano. Over the past weeks, weak strombolian activity continued at Fuego volcano, ejecting incandescent material ~50-75 m high, and gas plumes to ~150-200 m above the volcano. Incandescent landslides traveled down the volcano's S and W flanks. Lava flowed ~400 m S towards Taniluyá ravine. Weak activity continues at Fuego, with strong degassing from the lava dome and a small lava flow traveling towards the Taniluyá ravine. Forest fires at the flank of the volcano render visibility around the volcano poor. Fuego continues its low-level strombolian activity. 27 small strombolian explosions were recorded today, ejecting incandescent blocks to up to 50 m above the lava dome. Minor rock falls from the sides of the dome produce small blaock and ash flows into the barrancas Santa Teresa, Taniluyá and Trinidad. Fuego's activity remains low, with weak strombolian activity continuing (typically 5-10 explosions per day). During the past weeks, weak-to-moderate explosions continue to occur at Fuego. Shock waves from the explosions were sometimes felt in villages near the volcano. Small avalanches of volcanic material traveled down Fuego's S and W flanks. Fuego volcano is continuing to be in a more active phase compared to recent months, with moderate strombolian activity from the summit, several lava flows travelling down its flanks and occasional ash plumes up to 1-2 km height. "An eruption began at Fuego on 27 December around 0545 and produced lava flows that traveled down Taniluya (SW) and Seca (W) ravines, initially extending ~800 m and 1,200 m, respectively. At 0602 a pyroclastic flow descended Seca Ravine, producing a S-drifting column of ash that rose to a height of ~2 km above the volcano (or 18,900 ft a.s.l.). Ash fell to the S of the volcano in the port of San Jose. Later that day, the lava flows reached lengths of 1.2 and 1.3 km, and pyroclastic flows traveled 1.8 and 2 km down the Taniluya and Seca ravines, respectively. Lava flows also traveled W toward Santa Teresa ravine, and SE towards Jute and Lajas ravines. A small amount of ash fell W and SW of the volcano in the villages of Panimaché (~7 km SSW), Morelia, Santa Sofía, and Los Tarros. Volcanic activity continued through 28 December, with incandescent lava clots hurled ~75 m high, lava flows traveling down the volcano's flanks, and a dark gas-and-ash plume rising to ~1 km above the volcano (or 15,600 ft a.s.l.). Avalanches of volcanic material spalled from lava-flow fronts. On the 29th, lava only flowed in Santa Teresa ravine, reaching ~600 m. Moderate explosions continued through 3 January, depositing small amounts of ash in Panimaché village. According to a news article, none of the ~250,000 residents from the 78 communities near the volcano were evacuated."